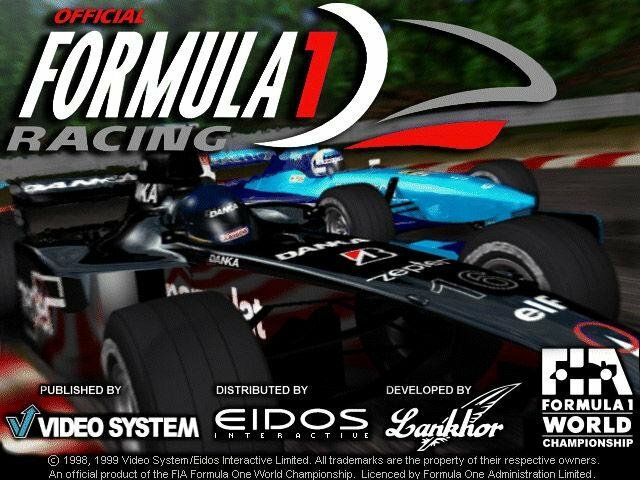 Eidos revs its racing sim engine. 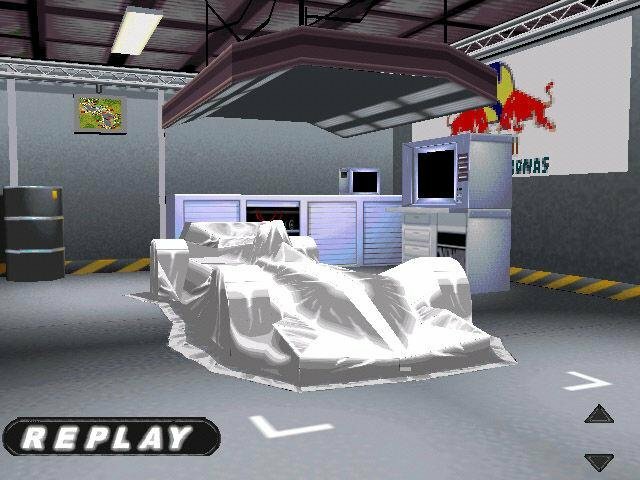 Official Formula 1 Racing is not the best simulation around. 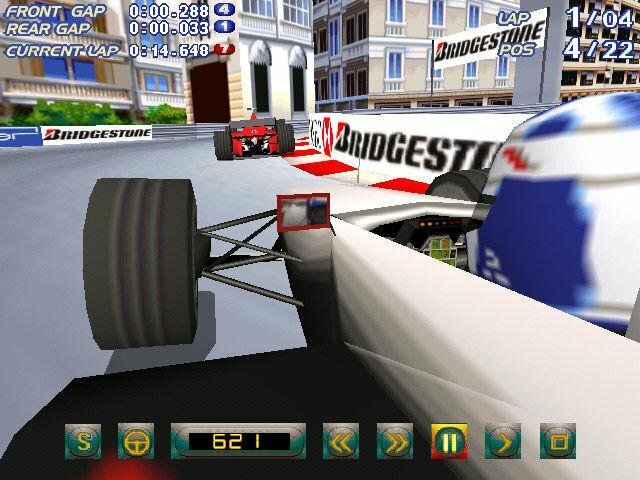 Although its physics model isn’t bad, the game’s realism has nothing on classics like Grand Prix Legends. Where Eidos’ racing sim succeeds, however, is in its accessibility. 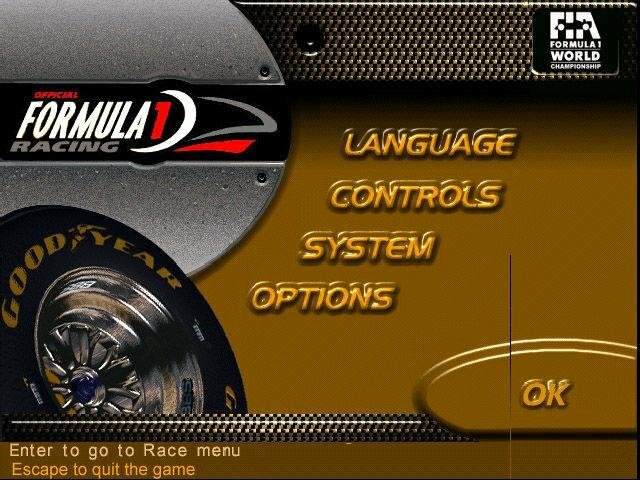 This game panders to a large lot, including Formula 1 followers, beginner drivers, and even the occasional NASCAR fan interested in road course racing. Combine that with all of the tracks and drivers and it’s got some edge in the race. Although this game is officially licensed by the FIA, diehard sim lovers looking to satiate their taste for modern-day grand prix racing may be disappointed. Everyone else, though, should be satisfied with the work the Lankhor development team has put into this game. You get the opportunity to spin wheels with current F1 stars and future legends. Even the tracks are beautiful. But — and that’s a big but for sim fanatics — racing through them is not as realistically portrayed as in other top-of-the-line simulations. 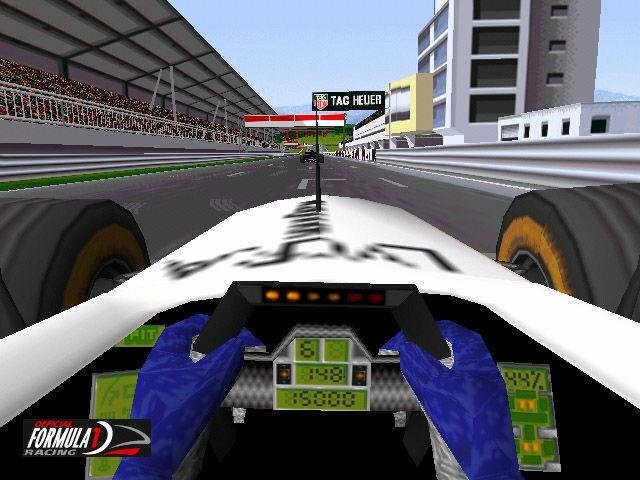 Official Formula 1 Racing’s hype centers on the official cars and tracks of the 1998 F1 season. 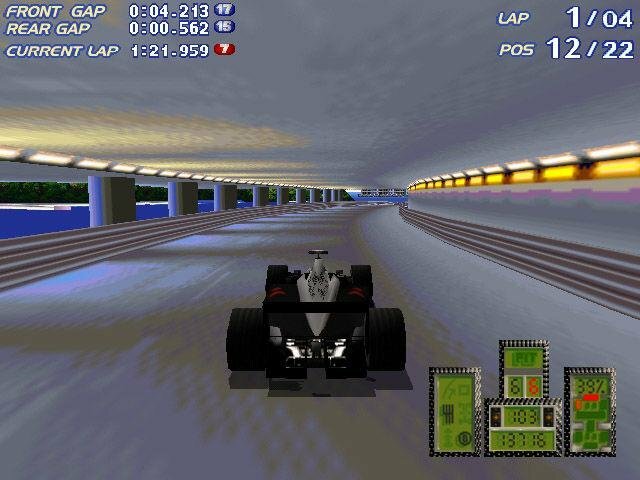 Players can romp about in 11 different car types, including such infamous speed demons as Ferrari and the McLaren-Mercedes. Races are held rain or shine. Practice sessions, qualifying, and warm-ups are available options. Even a helicopter tour of each track accompanies all 16-championship weekends. 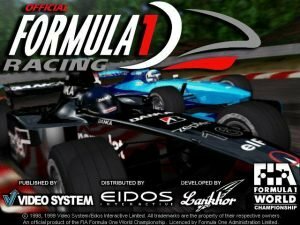 Official Formula 1 Racing portrays each track in detail, from the long straights of Monza to the picturesque city streets of Monaco. 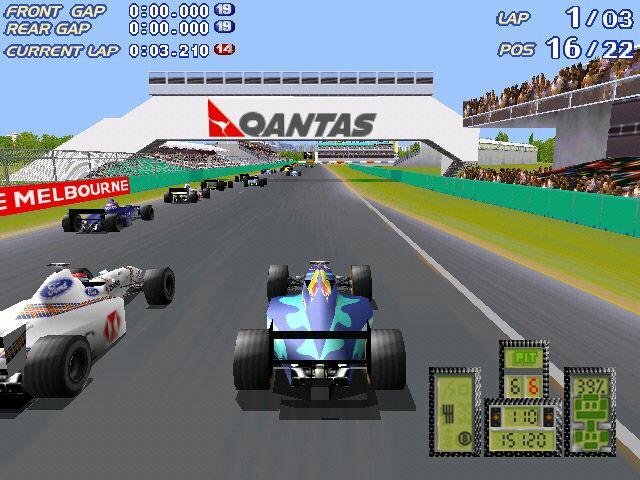 The venues, however, are not depicted as well as in other F1 sims. 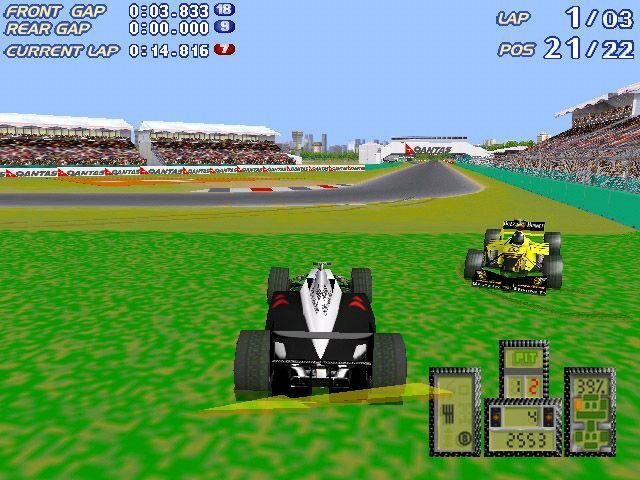 Lankhor fails to match the rich textures and degree of graphical realism found in UbiSoft’s Monaco Grand Prix Racing Simulation 2. 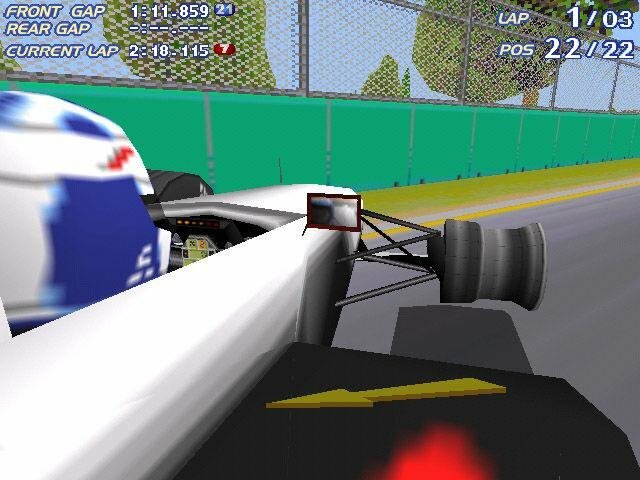 For example, tires lack a crisp roundness (in the cockpit view) and tree foliage is at times blocky. Such inadequacies are small, though, failing to detract from the game’s overall visual beauty. Options include three different difficulty levels as well as the typical arcade and simulation modes. Unfortunately for diehard sim lovers, the tires grip the road more than usual — even in simulation mode. This is a great advantage for novices, especially in the numerous chicanes and hairpins scattered throughout the Formula 1 circuits. 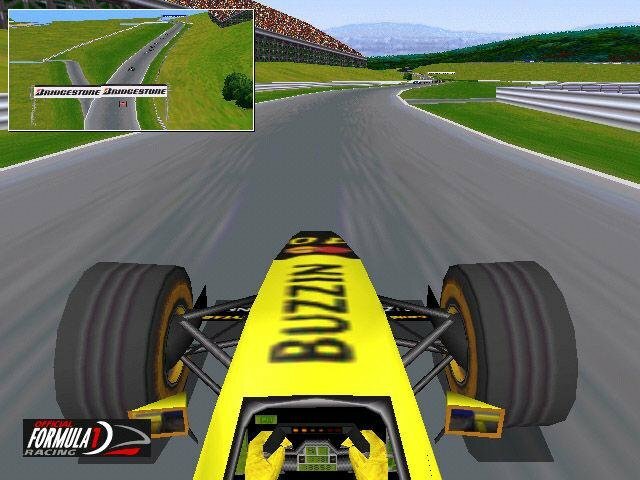 With the greater level of traction, speed times can be higher than in other F1 simulations, too. Other notable features include LAN-based multiplayer and five language settings. In all, a pretty sizeable package.